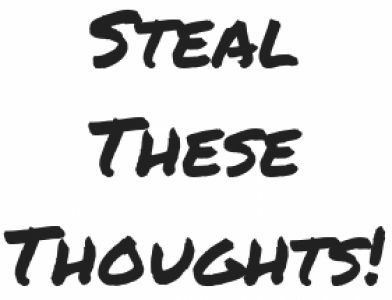 How to build world class skills – Steal These Thoughts! Being amazing in your field of work is no easy task. I can tell you now that there is no secret formula, it takes a lot of hard work and I’m still figuring it out myself. I wanted to share a philosophy on building world class skills that was recently imparted on me in a seminar. Now I’m not saying that you need to be a world changing entrepreneur or a CEO of your company, I’m just looking at how you can improve in your field of work and develop world class skills in that role — it’s applicable to everyone in any field, you don’t need to be startup founder or the next big entrepreneur to develop world class skills. What am I great at and why? What do I enjoy and why? Where is that combination most valued? Use these to understand what you really want and your best skills. This will take some deep thought and reflection, but your answers will help shape your plan going forward. Don’t fool yourself with what you think you should be great at or what you should enjoy, carry out a honest examination to discover what the real answers are and only then can you look to strengthen these skills. That’s all I’ll say on this, asking myself these 3 questions has really helped shape what I want to do and how I can look to be the best in my craft. I hope this insight helps you too and let me know your thoughts in the comments below.